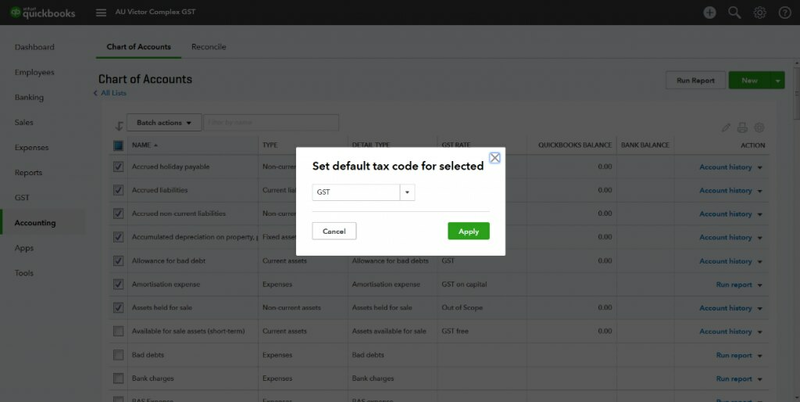 QuickBooks Online has default GST codes assigned to the chart of accounts. The good news is that you can update these default GST rates in a single batch. In the Chart of Accounts, simply select the accounts that you wish to update (to the same Tax Code) by ticking the boxes on the left. Then select Batch Actions. Then, Set default Tax Code. Choose the tax code appropriate for the accounts selected, and click Apply. 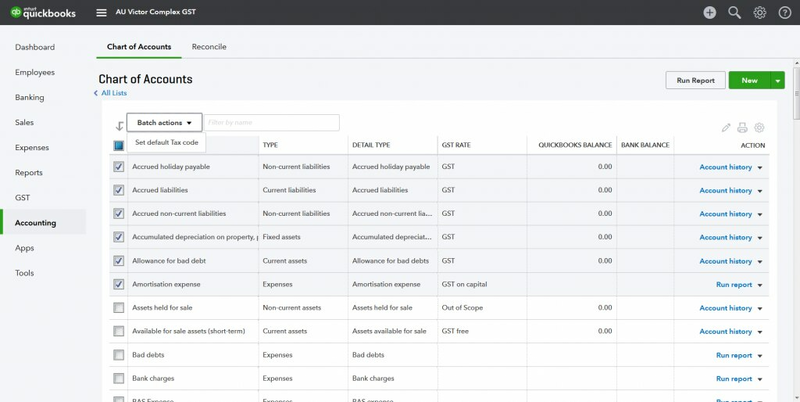 QuickBooks will automatically reassign the default tax code for the accounts that were selected – and you’re done! Not all accounts can have a default tax code. If your client attempts to assign a tax code to one of these accounts, QuickBooks Online will not make any changes. Certain accounts can only have Sales or Purchases tax codes. If your client attempts to assign a tax code to an account that does not support that tax type, QuickBooks Online will not make any changes. We trust you will enjoy this new feature. To recommend QuickBooks Online to someone, check out our product pricing plan here.